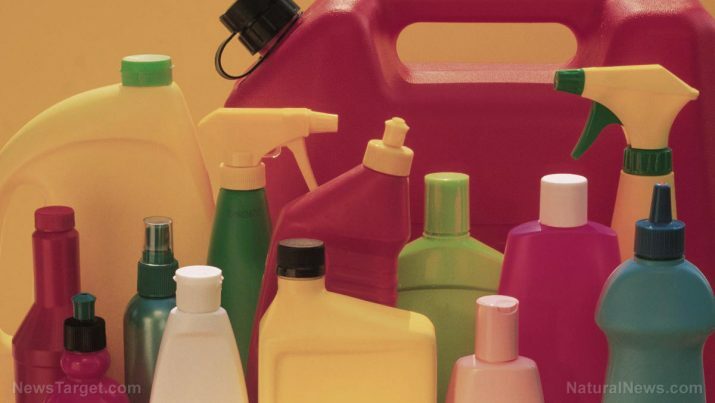 Certain cleaning chemicals have been linked to health problems, according to a study published in the American Thoracic Society’s American Journal of Respiratory and Critical Care Medicine. In the paper, the authors cited asthma and even lung decline as primary illnesses that can be gotten from using these products. Researchers from the University of Bergen in Norway studied data from 6,235 individuals who took part in the European Community Respiratory Health Survey. In the study, titled “Cleaning at Home and at Work in Relation to Lung Function Decline and Airway Obstruction,” participants with an average age of 34 when they enrolled were observed for over 20 years. Dr. Cecile Svanes, a professor at the university’s Centre for International Health, explained that even though the short-term effects of cleaning chemicals on asthma were now being properly documented, there was no data when it came to its long-term impact. Svanes, who was also the senior author of the study, added that the team is concerned that these chemicals are steadily damaging the airways of women. Although the damage is minimal, it will all add up and it might even “accelerate the rate of lung function decline” as women age. Forced expiratory volume in one second (FEV1), or the amount of air a person is able to forcibly exhale in one second, decreased 3.6 milliliters (mL)/year faster in women who cleaned at home and 3.9 mL/year faster in women who are employed as cleaners. Forced vital capacity (FVC), or the total amount of air a person can forcibly exhale, decreased 4.3 ml/year faster in women who cleaned at home and 7.1 mL/year faster in women who are employed as cleaners. The researchers determined that the advanced lung function decline in the women who worked as cleaners was similar to smoking less than 20 pack-years. Øistein Svanes, a doctoral student also from the Department of Clinical Science and study’s lead author, noted that they were surprised with the level of lung impairment. According to Svanes, the results should not be shocking since the small particles from the cleaning agents are meant to be cleaning the floor and not being inhaled into your lungs. The scientists posited that a decline in lung function could be caused by the irritation that most cleaning chemicals cause on the mucous membranes along the airways. In time, this irritation could even lead to persistent changes in the airways and airway remodeling. For the study, factors that could affect the results, like smoking history, body mass index, and education, were taken into account by the researchers. Finally, he concludes that public health officials must monitor cleaning products closely and encourage producers to create cleaning agents that are safer to use and cannot be inhaled. Ammonia — Since it’s an alkaline solution, clear ammonia is a stronger window and all-purpose cleaner than acidic vinegar. Get a non-sudsing type. Suds may look like they’re better for cleaning but they’re hard to rinse and remove. Baking soda — Baking soda has a mild abrasive action and natural deodorizing properties. Put some baking soda on a damp sponge to clean bathtub rings, vanity units, or food deposits on your kitchen sink. Rubbing alcohol — Rubbing alcohol/isopropyl is a good base for an evaporating cleaner. You can use it to clean windows, mirrors, and chrome fixtures. It can also give hard-surface ceramic tiles a shiny finish.